Fly to the Antarctic and sail on our 12-passenger ship to experience the Antarctic Peninsula’s incredible vistas and abundant wildlife. Led by exceptionally experienced and knowledgeable expedition guides and crew, you will travel among curious penguins, whales, and mountainous scenery during 14 full landing days. You will benefit from the ease and flexibility of getting such a small number of travelers ashore. Conditions permitting, we will focus on areas completely out of range of larger tour vessels, so your time in nature will be unrivaled as you explore in quiet serenity. You’ll also avoid the very challenging potential of crossing the Drake Passage that has for so long limited operations of small vessels. This expedition offers a great depth of exploration and unsurpassed experiences for an intimate group, while enriching your understanding of the Antarctic ecosystem through substantial participatory citizen science. • Fly to and from Antarctica over the Drake Passage, saving six days of ship travel. • Get up-close and personal with whales, penguins, and seals. • Enjoy the flexibility and serenity of being aboard a 12-passenger vessel during 14 full landing days. • Experience beautiful sunrises and sunsets backlighting stunning landscapes. • Be a part of scientific research. For most traveling to Punta Arenas, you will need to leave home today. Arrive in Punta Arenas, Chile. A transfer agent will transfer you from the airport to your hotel. If you would like to arrive earlier, we can arrange your airport transfer and book extra nights. Weather permitting, you will board the charter flight to King George Island and land at Teniente R. Marsh Airport, the northernmost airport on the continent of Antarctica. 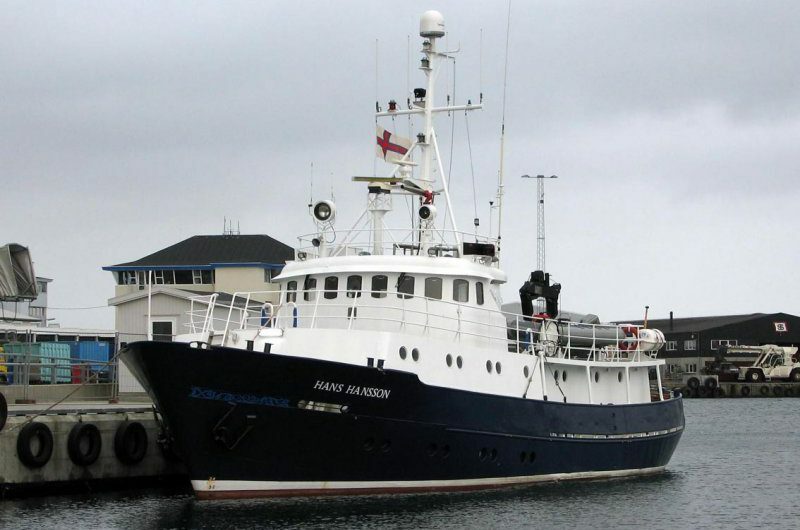 Then, you will transfer to the Hans Hansson to begin exploring the Antarctic. The warm glow of sunrise reveals our position in the South Shetland Islands; you will have early and late landings and Zodiac cruises to take full advantage of the best light. Due to the expeditionary nature of our voyage, specific stops cannot be guaranteed. Flexibility is paramount in expedition travel; our itinerary depends on the conditions. We strive to land often and stay as long as possible, abiding by the Guidelines for Responsible Ecotourism from the International Association of Antarctica Tour Operators (IAATO). The South Shetlands are a string of volcanic islands, some still active, that run parallel to the Antarctic Peninsula across the Bransfield Strait. Fondly known as the “Banana Belt of Antarctica,” these islands boast the richest concentrations of terrestrial wildlife in the Antarctic due to their proximity to the rich upwelling waters from the great Circumpolar Current. Even with our luxuriously in-depth itinerary, we will have to choose between many very compelling sites. Deception Island is a favorite and one of the most exciting islands on your voyage. This horseshoe-shaped, volcanic island is still active, as its hot thermal pools demonstrate. You may land on both the outside wall and inside the caldera that opens to the ocean via a narrow gap called Neptune’s Bellows. The landing at Bailey Head is home to about 100,000 chinstrap penguins, but the sea can make landings tricky with steep swells crashing on an exposed beach. Inside Deception’s huge caldera, you can hope to land and take a short hike up the mountainside among the lichen-draped cliffs to the scenic overlook. On the beach at Whaler’s Bay, you may find Weddell seals basking. Deception Island also offers one the most unique experiences of the voyage – plunging into the thermal pools alongside the beach surrounded by clouds of steam. The water temperature can be fairly comfortable, although it can get so hot that it’s necessary to mix in colder water! On a clear day, the chinstrap penguins of Half Moon Island make a delightful foreground to the breathtaking eastern coastline of nearby Livingston Island. At this end of the Earth, the vast scale of nature will open your senses. Great respect must be given to the fragile vegetation and the wildlife colonies. You will have you as much freedom as possible to enjoy the magnificent wildlife and landscapes within the bounds of safety and minimal impact. Both chinstrap and gentoo penguins breed on Aitcho Island, an island covered in mossy green carpets making a surprisingly bright contrast to Antarctica’s intensely achromatic landscapes. Conditions permitting, take a walk across the island past the southern elephant seal wallows. This landing site and other similar sites with southern elephant seals offer a terrific chance to see (and smell!) the world’s largest species of seal, also perhaps joined by hauled out Weddell seals and southern fur seals. From the South Shetlands, sail southwest across the Bransfield Strait into the fabled Gerlache Strait. Here you can expect whale sightings to ring out from the bridge as the Antarctic Peninsula landscape rises up around you into a glacier-draped view of mountainous proportion. You can expect whales among sculpted icebergs in the foreground and staggering mountain walls in the background, making for some of the world’s best Zodiac cruising. You can hope for magnificent sunsets, sculpted blue icebergs, and close penguin and whale encounters, each with the potential for an experience that you will never forget. You will visit sites where the penguins and seals that once sustained early Antarctic explorers have taken over, leaving only faint clues of the age of exploration and exploitation. You will travel south along the picturesque Danco Coast on the west coast of Graham Land, which has awe-inspiring scenery with coastlines deeply indented with bays. Impressive mountains rise sharply from the coast to the central Graham Land Plateau and glaciers descend to narrow piedmont ice shelves. Extensive Zodiac cruising and opportunistic landings during the best light will allow us to soak in the serenity of this majestic place. You’ll make your way down the coast into Wilhemina Bay, Neko Harbour, and Paradise Bay, among the most beautiful areas in Antarctica. These waters rank high on our long list of favorite places for Zodiac cruising. Enjoy views of sculpted icebergs and surfacing whales as you cruise the inner bays near spectacular glaciers and ethereal mountains. You can expect wonderful whale behavior in these plentiful summer feeding grounds as the krill swarms are enormous. You will find colonies of gentoo and chinstrap penguins, sometimes in mixed colonies, along with their attendant scavengers: snowy sheathbills, brown skuas, south polar skuas, and kelp gulls. Hope for a landing in Neko Harbour on the Antarctic continent proper, with an opportunity for a walk and an incredible view. Enjoy the view from the ship as you navigate through stunning Neumeyer and Lemaire channels or around the south end of Anvers Island into Biscoe Bay where you will be completely surrounded by ice-draped peaks soaring dramatically out of the water. Crabeater, Weddell, and leopard seals are often hauled out on the ice floes and whales may even surface between the floes, so keep your cameras ready! Tall, hanging ice cliffs, the fronts of highly fractured tidewater glaciers, decorate most of the shoreline for unforgettable scenery. At the southern part of the Lemaire Channel you’ll find Petermann Island. Located at 65°S, Petermann is an outstanding location to see gentoo and Adelie penguins on their nesting grounds, often with chicks chasing parents who have returned to feed them. The clear water is beautiful for observing and photographing penguins returning to land. 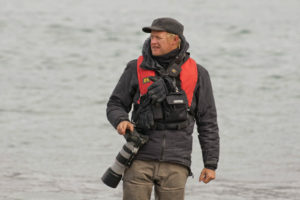 Petermann has seen a reversal in abundance between the two species, with half the numbers of Adelie penguins we found twenty years ago, but twice the numbers of gentoos. Photogenic Antarctic shags are also found on the edges of the colonies. Hope for good conditions to travel further south along the western side of the Peninsula, possibly down to Crystal Sound, the Antarctic Circle, and Fish Islands to explore the southern reaches of summer navigable waters. Look for snow petrel, Antarctic petrel, ice-loving Antarctic minke whales, and maybe an extremely rare Ross seal. When you are out in the golden light of an Antarctic evening, be sure to put your camera down for a moment and simply absorb the beauty and silence. You’ll leisurely sail north, keeping your eyes out for cetaceans, including orcas and even rare beaked whales, and explore wonderful coves that are breeding areas for leopard seals. You will surely find yourself cruising with humpbacks as they swim and lunge feed among the icebergs offshore in these waters where whale populations are recovering from the extreme exploitation of the 20th century whaling era. The region offers excellent opportunities to find Antarctic minke whales feeding and orcas cruising for seals and penguins. The photography in these rich krill areas of the Peninsula is truly fantastic. Port Lockroy, located at the end of the very narrow and beautiful Peltier Channel close to Neumeyer Channel, has a British Antarctica Survey maritime museum and a sprawling gentoo penguin colony. You will dock at King George Island by early morning. After breakfast, you will disembark the Hans Hansson and fly back to Punta Arenas, weather permitting. Spend your last morning in Punta Arenas, and then our local agent will transfer you from the hotel to the airport. Fly to Antarctica, sail on our 12-passenger ship, and celebrate the New Year on the Antarctic Peninsula. The Hans Hansson was originally built for the Norwegian Lifeboat Association and in 2005 underwent a major refit, including renewing the interior to provide comfortable accommodations for our twelve passengers. She is ideally suited for extended voyages in comfort and safety anywhere in the world. Our vessel is a solid workboat, yet she boasts a comfortable main saloon and library/ recreational area. The ship is equipped with two Zodiacs and enough kayaks to accommodate six people. Cost are per person depending on cabin type, double occupancy, including round-trip charter flights between Chile and Antarctica, not including international airfare, singles extra. We reserve the right to charge for cost increases that occur between when we set tour prices and the date of travel, for example, changes due to the cost of lodging and transportation. If you are a single traveler and you desire, we will find a roommate for you. If we cannot find you a roommate, we will not charge you a single supplement. If space is available, one twin shared cabin can be booked for a single occupant by adding 90% over the listed cabin cost. Single rooms are subject to availability. Refunds are given depending on the time left before departure according to the following table. The cancellation fee of $1,000 per person can be applied toward another tour if reserved within six months of the cancelled trip’s departure date. Cancellations are non-transferrable. Consider purchasing trip cancellation insurance that could reimburse your trip costs in the event of your cancellation. All leaders, transport, permits, landing fees, passenger fees, and port taxes, including an IAATO (International Association of Antarctic Tour Operators) passenger fee. Charter flights on December 20 and January 4 between Punta Arenas, Chile and King George Island, South Shetland Islands. Accommodations (double occupancy) in Punta Arenas for the nights of December 19 and January 4. Fifteen nights on board the Hans Hansson. Meals from breakfast on December 20 through breakfast on January 5. Airport transfers to and from Hotel Jose Nogueira regardless of arrival and departure day plus transfer to and from Punta Arenas airport for the charter flight on December 20 and January 4. Non-alcoholic beverages plus wine and beer during meals while onboard the Hans Hansson. Rubber boots on loan while on board the Hans Hansson. All airfare (except flights listed as included), airport and departure taxes, and excess baggage fees. Airfare is approximately $1,300–$2,000 round trip from the USA to Punta Arenas, Chile, depending on origin. Gratuities for the ship’s crew. Tipping is, of course, discretionary, however we suggest budgeting $10 to $15 per participant per day for December 20 to January 4 aboard the Hans Hansson ($160 to $240 total per participant). Emergency medical and evacuation insurance, but it is required for you to purchase. For more information see www.cheesemans.com/travel-insurance. Items of a personal nature such as laundry, fax/phone/email charges, medical costs or hospitalization, room service, etc. If you have special dietary needs, please indicate them on your Reservation/Release Form. Antarctica has a cold, dry, sometimes windy climate even in the summer. Normal summer temperatures are 25 to 40°F on the Peninsula, known as the ‘Banana Belt’. Penetrating cold is not usually a problem. Wind chill and wetness while riding in Zodiacs are the primary conditions to insulate against. It is also possible to get wet weather, but often it is with wind, so an umbrella is not usually practical. Waterproof gloves, warm cap, layers of light, loose, warm clothing, water-repellent outer garments, and sunscreen are necessary. In Punta Arenas in mid-December and January, the average temperature is 46°F and it can be very windy. Weather can change quickly in this region and it is not unusual to have three seasons in one day with rain, hail, and accompanying wind, so be prepared. Participating in this voyage does not require a high level of physical fitness, but please be sure that you can: (1) stay without medical assistance for the duration of the trip, (2) swim or float, (3) be sufficiently stable on your feet that you can, for example, stand on a bus/train in normal conditions without (or minimally) holding on, (4) get in and out of a Zodiac on a beach with a little swell, (5) walk 10 blocks without getting exhausted, and (6) climb a 6-ft vertical ladder. Once on shore, you can walk for short or long distances (within the specified guidelines); it is up to you. Landing details will be given in advance of each landing. Please contact us if you have any health or fitness concerns that may make this trip challenging. Flights you (or a travel agent) book: Arrive in Punta Arenas, Chile (PUQ) by 12:00pm on December 19. Depart from Punta Arenas, Chile (PUQ) anytime on January 5. Flights we book for you: The charter flights between Punta Arenas and King George Island. The cost of this round-trip booking is included in the tour cost. How will I get to participate in science? In addition to travelling to unique and amazing destinations, our voyage advances the scientific understanding of these remote ecosystems we care about. Active research will be conducted on board to help contribute to the ongoing Citizen Science Projects – FjordPhyto and Happywhale. As a participant, you will have many opportunities to collect samples, make observations, record data, and learn about the research and mission of these projects. Don’t let a fear of seasickness scare you away! For all but the most sensitive, seasickness is rarely a problem in this region. It’s a good idea to bring medication if you get seasick or are unsure, but you may find that you do not need it after a couple days once you have your “sea legs.” Even those who have experienced seasickness reported that the incredible wildlife and overall experience were well worth the temporary discomfort. Read our suggestions for coping with seasickness at www.cheesemans.com/seasickness and contact us if you have any concerns.